The calm before the storm here at Langara, on a glorious day, sunny, warm and flat seas, a guides dream. 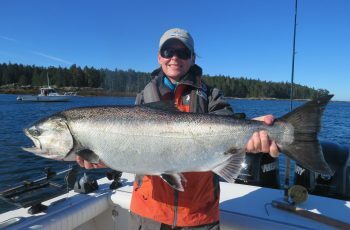 Fishing has slowed today for chinook but huge Northerns were the talk at dinner. 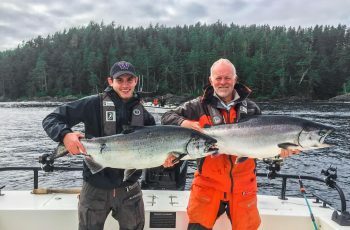 Top fish of the day was angled by Jacob Duvenage, a 35 lber, guided by another Jake out at Lacy in 200 feet of water. 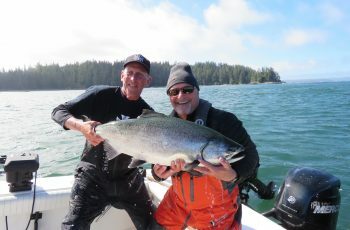 It is a lottery fishery out there right now, drifting around hoping a chinook finds your cut plug, down 80 to 125 feet. When you run up on a bait ball you score. 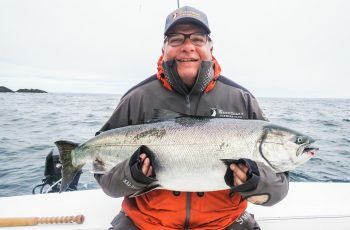 I had John Simpson and Jollean out today, Jollean finding a 26 lb chinook, and a 21 lb halibut, John had a couple chinook as well. 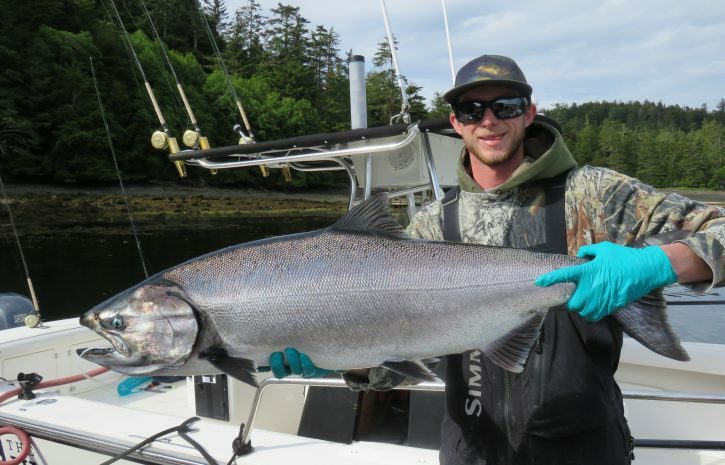 We had to work at it, fishing was slower and luck of the draw out there offshore. The seas were calm though, sun out, tunes on so all good. 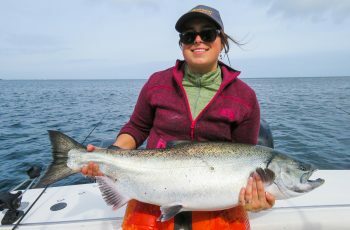 Jordie was with the Thompson’s and scored top coho of the year, a “showho” at 17 lbs. Weather looks tough for tomorrow afternoon, we have some wind and rain coming our way, time to bolt everything down in the wheelhouse. Lacy might be a good option, I will let you know when I figure it out. The east side of Langara is again infested with lions, so you guessed it, now dead to me. I am now refusing to play with sea lions, no more stink eye from guilty rock dogs, game over. Will be filling you in on day two of our current trip, standby and baton down the hatches, it might blow tomorrow.